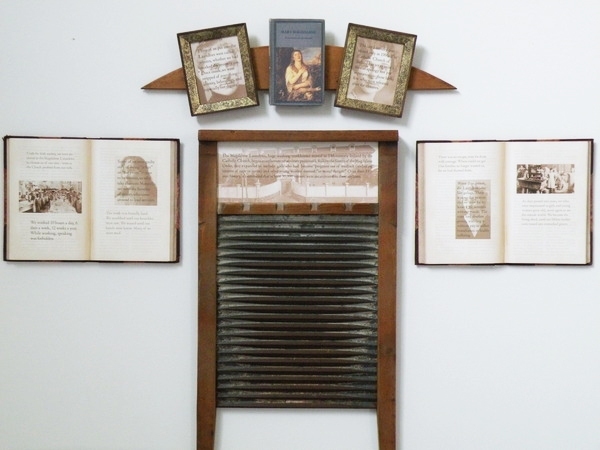 Altered books, a washboard, and other objects loosely form a cross in this work that depicts the consequences of institutional and culturally sanctioned. In the case of the Magdalene Laundries, which existed in Ireland from the mid-19th century until gradually ending in 1996, enslaved young women as laundresses so that they could “cleanse themselves of their sins.” Most who entered these asylums died there, forgotten by family and society. 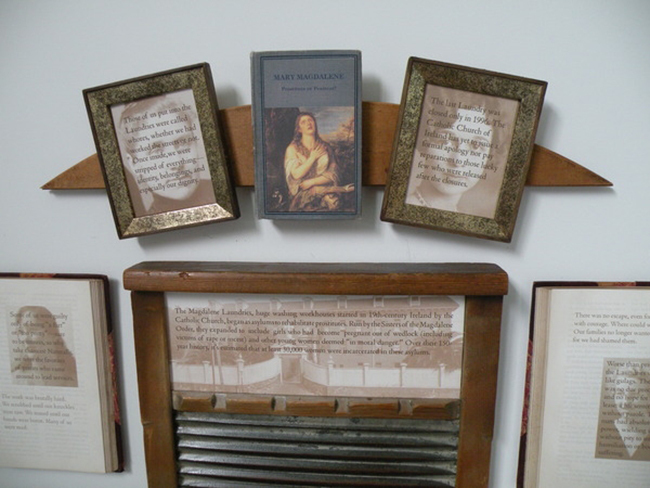 This piece was part of the traveling exhibit In Retrospect: Artist’s Books and Works on Paper by Maureen Cummins, Ann Lovett, and Nava Atlas.